This is somewhat a vague question because a getting a tattoo is not like buying a pair of jeans or bag, where a price range can be quoted on. You can’t say: “that type of tattoo cost about 150 euro’s”. There are a few of elements to consider in tattoo pricing. The best way to get a sure price tag on a tattoo is going directly to a tattoo artist, below are a few factors that influence the pricing of a tattoo. The size. Obviously, a bigger tattoo requires more work that a smaller one. The bigger the art piece, the higher the price. Design. A design that is more elaborate will cost a lot more than a simple design. Color. More colours used in the tattoo design, the more expensive the tattoo is. Placement. The location the tattoo where you want it made. A flash tattoo or tattoos with a generic design versus original design. It doesn’t take much for a tattoo artist to copy an already made design and adjust it a little bit, but an original design will take time to make. Initially, an artist will ask questions to visualize the design at hand, then he would make sketches, which is either rejected or approved until the final design is made. Time. 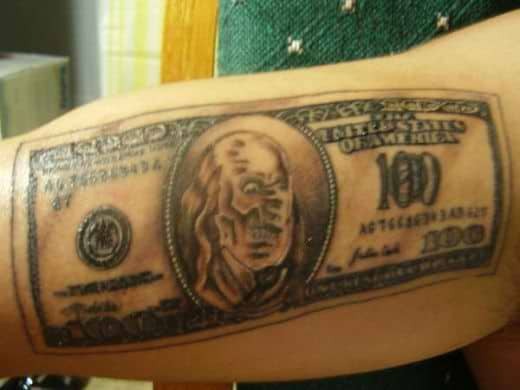 Most tattoo parlors charge an hourly fee. The bigger or more detailed the tattoo design is, will take longer to make. But some artist would be happy to charge per piece. Some tattoo parlors/artist charge more, especially if they’ve made a name for themselves for making exquisitely beautiful tattoo artworks. Also, you can ask around especially if it’s your first tattoo. Ask friends for personal experiences. Shop around for a good artist, not so expensive or not to cheap either.